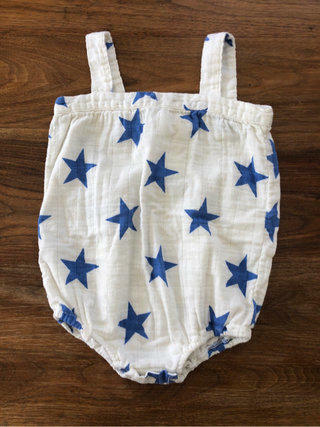 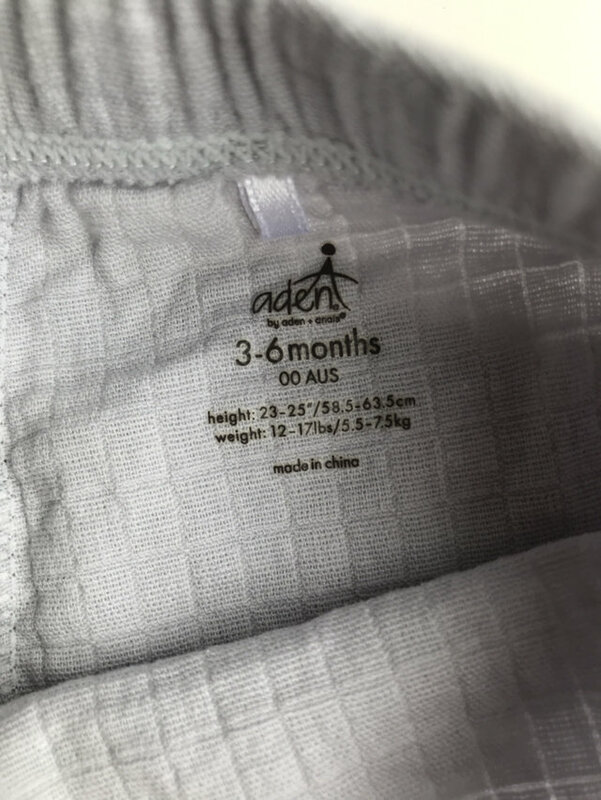 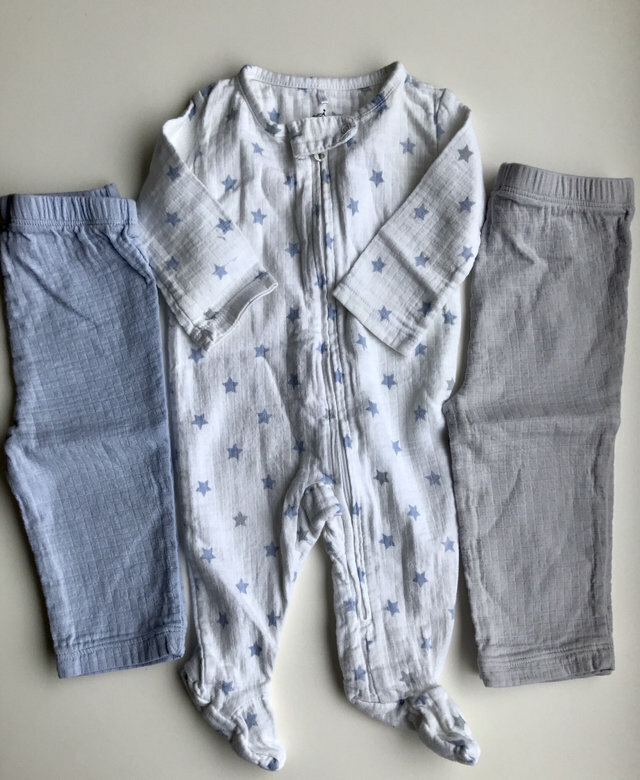 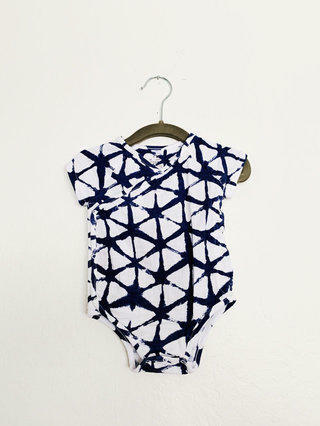 Aden + Anais muslin Star sleeper pajamas and two pairs of muslin pants. 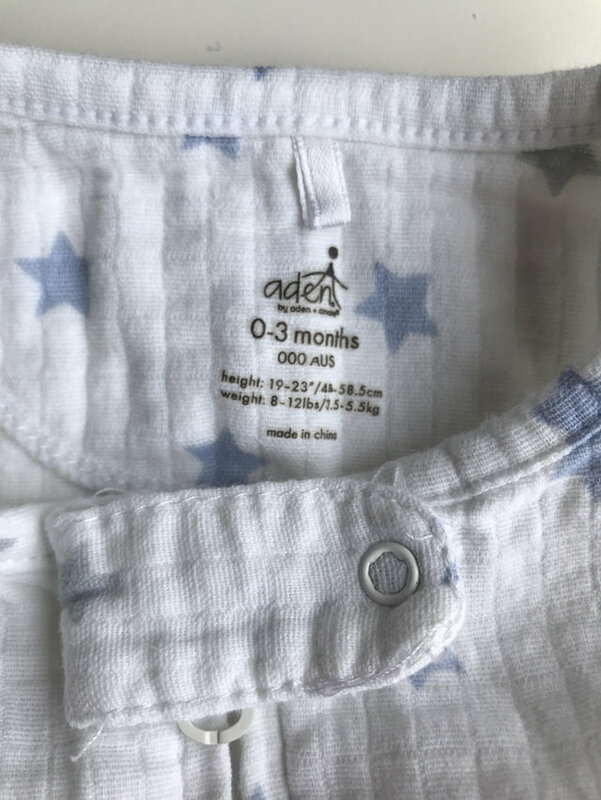 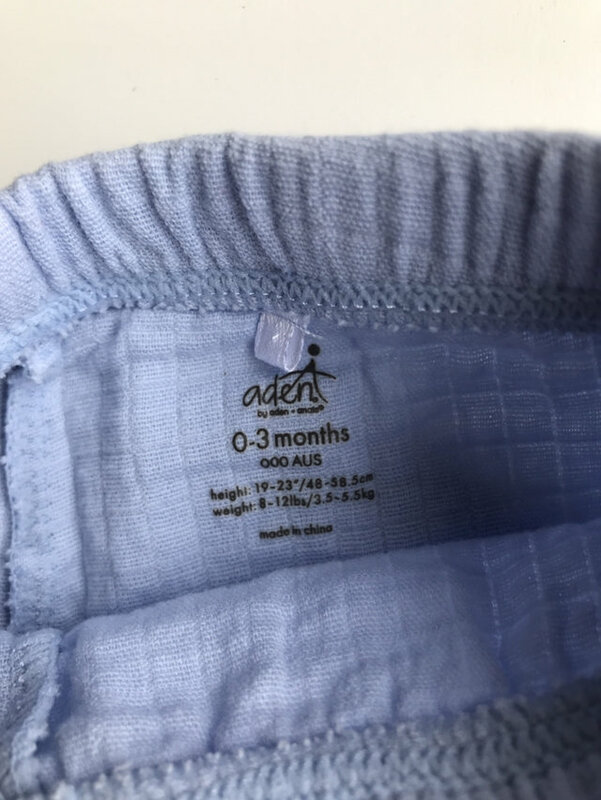 Sleeper is 0-3 months. 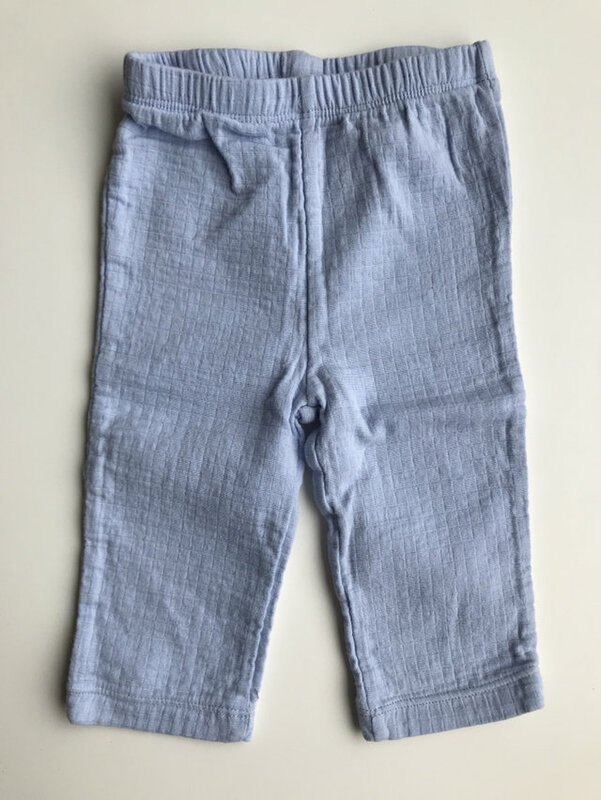 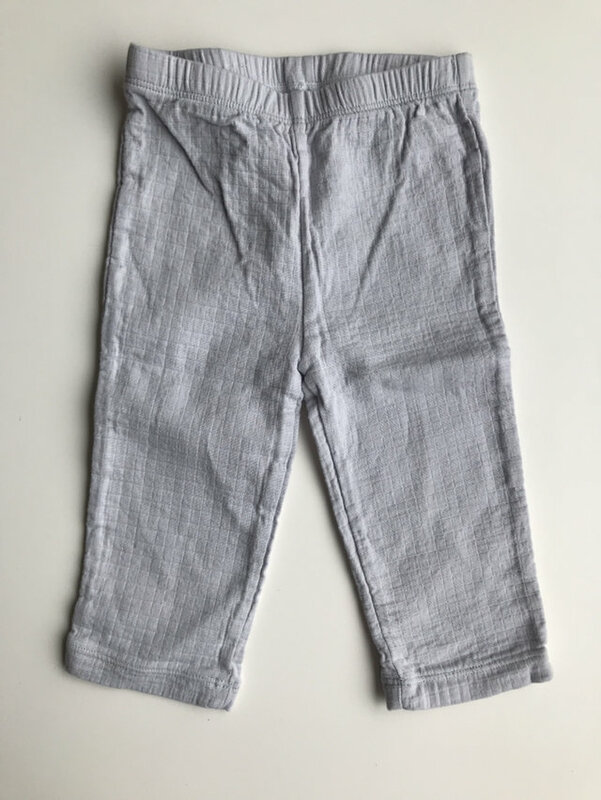 Blue pants are size 0-3 months, and the grey are 3-6 months.